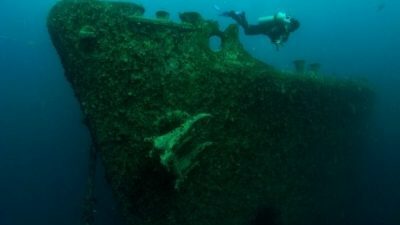 Come 1 January 2017, Europe's first underwater museum – Museo Atlántico Lanzarote – will open with more than 300 sculptures beneath the waves of Lanzarote, one of the Canary Islands. The sculptures are being created on dry land by English artist Jason deCaires Taylor and then they will be lowered to the seabed twelve to fifteen metres deep. 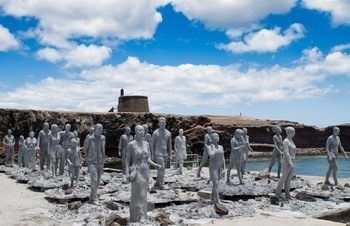 At present, some of these sculptures are being exhibited at the Museum of Contemporary Art (MIAC Castillo de San José) in Arrecife until March 2016. For more than a year, work has been in progress on the Museo Atlántico Lanzarote. Taylor is solely responsible for the sculptures in the museum. Based on live models, his sculptures mainly show people in daily life, in common poses such as reading or shooting a selfie. After the project received its final approval at the beginning of November, the construction has entered its final phase. In the coming months, concrete figures will be anchored to the seabed off Playa Las Coloradas, close to the resort of Playa Blanca. 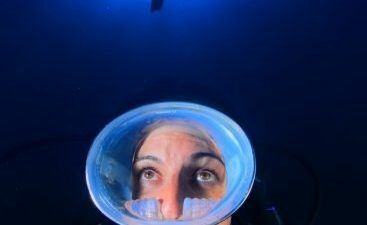 Covering an area of 400 square metres, the underwater exhibition will be one-of-a-kind – thanks to the clear waters of the sea, those not wanting to get their feet wet can view the installations from a glass-bottomed boat. Nature conservation is close to Taylor's heart. Submerged in the water, his sculptures will serve as artificial reefs, encouraging the development of new animal and plant communities. This is in line with the museum's philosophy that nature and art can blend together seamlessly in harmony.